University of South Florida - What a relief! Sculpture has always been a fascination for me and has influenced my career more of late than during the earlier years. Mixing art and technology has always proven interesting and adding ancient culture to the equation raises the bar to new levels. The University of South Florida has been using the latest technology to study the most ancient relics found in the"new world" and I cannot seem to keep myself from gravitating to their work. Dr. Lori Collins, Dr. Travis Doering, and their devout team at USF's AIST travel to the ends of civilization, into the jungle...literally. Places from which I would feel lucky if I came out alive. 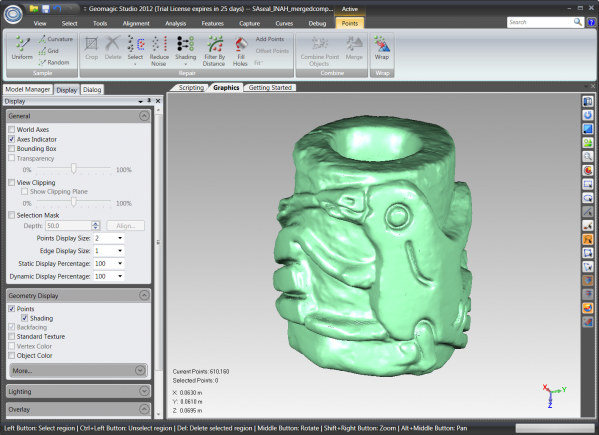 What they bring back are not ancient relics or plaster casts...they bring back data, 3D data. They pack-in scanners and laptops, leaving the mules behind, and return with complete digital representations of incredible archaeological finds. More importantly they leave the monuments and original pieces of sculpture in-place, untouched. 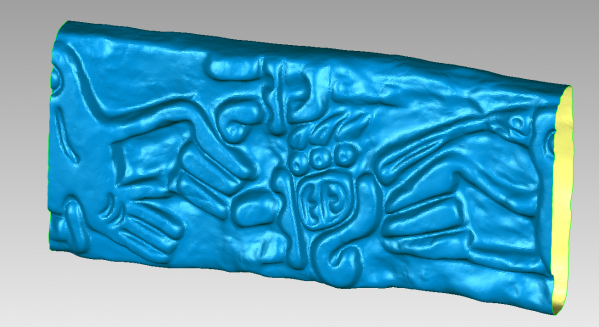 In contrast to older methods (i.e., sketches and plaster casts) the 3D data allows them to study these items (as large as a house, or as small as a coin) in their virtual environments back at campus. They can change the lighting and enhance surface texture, compare and contrast icons found thousands of miles apart in the jungle with relative ease and in full 3D. These methods enable them to extract barely visible detail, reveal data that has been previously missed due the the perspective of the original sketch, and even correct the"artistic freedom" taken by the"artist" originally in the field. Above all, the digital nature of the data allows them to share their work among their colleagues worldwide via the net and give"the controls" over to the students and professors in truly immersive and engaging ways. One such artifact was given to us to play with (digitally of course) and they asked if it could be"unrolled." 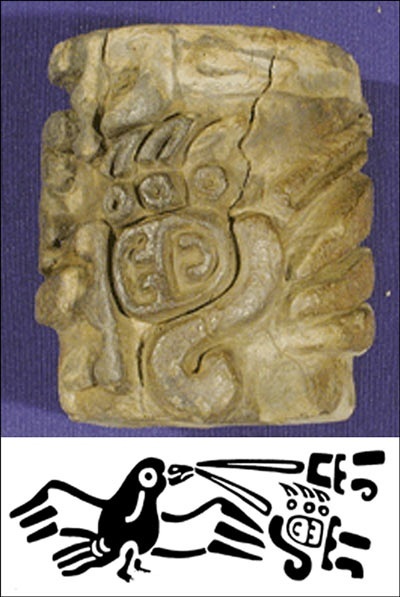 Below is an image of an ancient Mayan"seal" that was used as a"signature" or stamp by rolling the low level relief cylinder in soft lime mortar leaving behing the impression seen at the bottom of the image. We had been talking about such a digital"tool" using scripts and I had my ideas on how to do it...but it wasn't until I took a trip down to see them in Tampa that a spark of creativity hit me...and the simple fact that I had built a library of tools in Python that made it possible. Sitting in the bar at the Tampa airport on the return leg I mashed together a script that I thought might work...and it did the first time! ...well it was a big deal for me anyway...and after picking my jaw up off the bar, I closed the laptop, boarded the plane, and slept the entire flight home. So...what can YOU do with scripting and Geomagic, in a bar at the airport, in an hour? print"No Scan Data was found!"